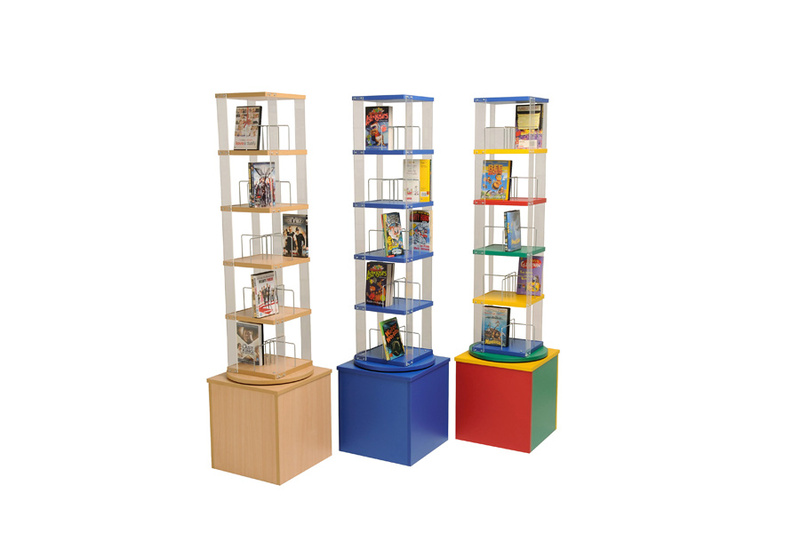 The tower spinner is ideal for use in school libraries or reception areas and has a large capacity for paperbacks and DVDs. 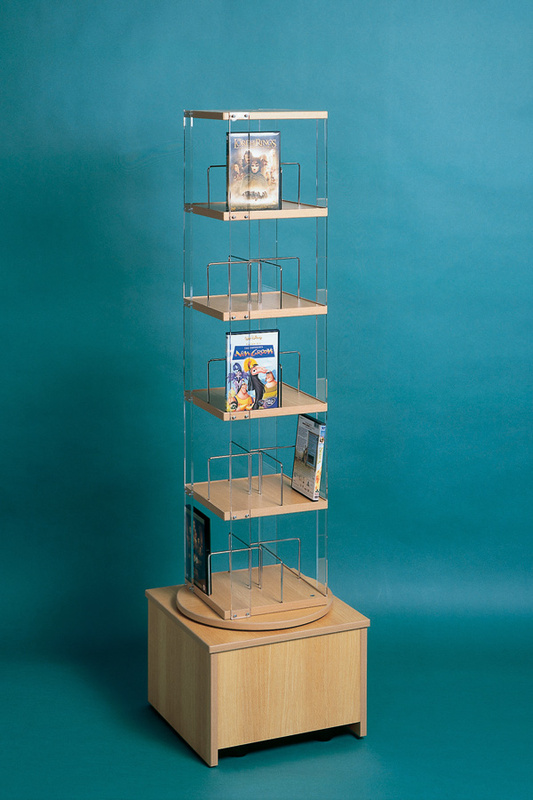 This book storage unit is available in 12 colours and has 5 tiers which hold up to 60 paperback books or DVDs. There are 4 base options to choose from. The mobile base is fitted with 4 sturdy castors, of which 2 are braked for extra safety. 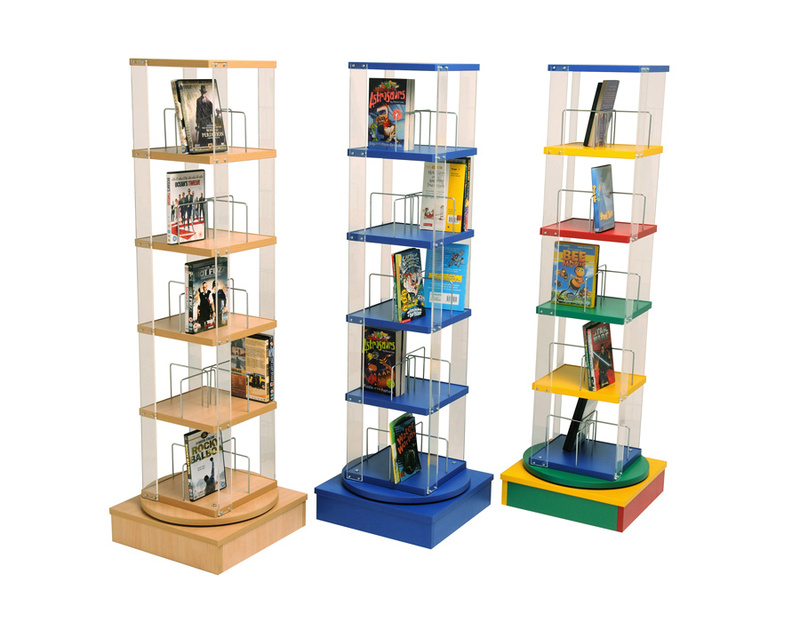 See our full range of book spinners. For more information please Contact Us or call on 01733 511121.